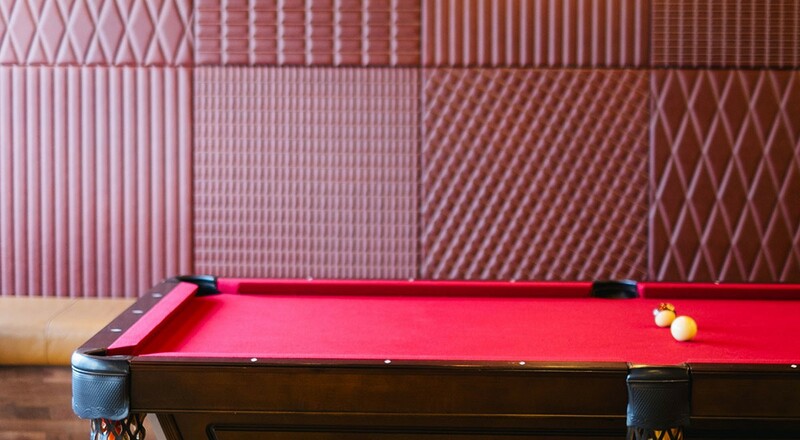 At WeWork’s Dupont Circle outpost in Washington DC, Muro panels with custom quilting create a not-so-stuffy pool hall vibe. Wrapped in Distressed leather in a rich burgundy, the eight quilted styles include various scales of diamond, parallel, rectangle, and square. 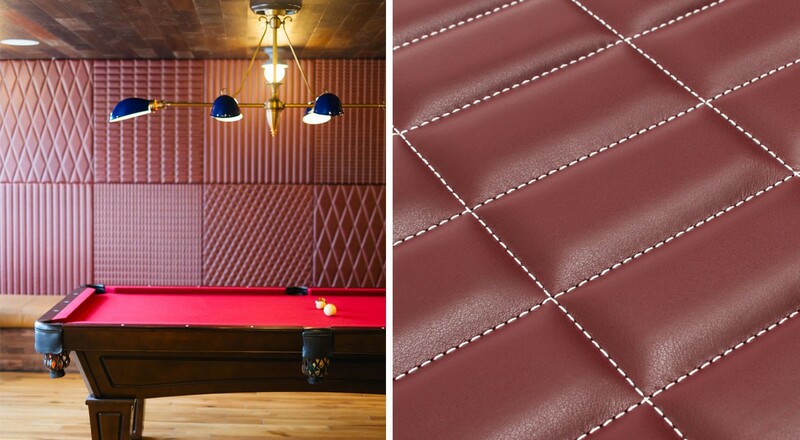 These panels add a classic elegance, while the combination of patterns are a contemporary bent on traditional quilted leather-wrapped panels. For more information on the products featured, please visit Custom Muro and Distressed.